You seem to take Christ Jesus to be God, which would mean we becoming in Christ we becoming God , being one with Christ also being one with God, not in the spiritual way we believe but when using your way of thinking being Christ and being God. This looks very weird. We learn the identity of the Creator in Genesis 1 is Elohim, the plural of El. The plural form is where we get the understanding of the Trinity – God the Father, God the Son and God the Holy Spirit – these 3 identities are 1. They always work together. Elohim is the first of the names of Deity and is further confirmed as Jesus being God in the flesh by St. John 1:1 & 14. To be “IN” Christ is to be saved from sin, reconciled back to God the Father through the finished work at the Cross. Spiritual regeneration is a necessary component of Christianity. Through faith in the finished work at the cross we are indwelt with the Holy Spirit or the Spirit of Christ which raised Him from the grave. These truths are confirmed in Romans 8:1, There is therefore now no condemnation to them which are in Christ Jesus, who walk not after the flesh, but after the Spirit, Rom 8:9-10 But ye are not in the flesh, but in the Spirit, if so be that the Spirit of God dwell in you. Now if any man have not the Spirit of Christ, he is none of his 10 And if Christ be in you, the body is dead because of sin; but the Spirit is life because of righteousness. The post answers the question Why Faith? by pointing the reader to the Word of God for all the evidence needed to trust Him concerning their personal needs. By faith we are justified in God’s sight Romans 5:1. God no longer sees a child of God (one who has accepted the finished work at the cross in his/her heart) in his sinful human condition because of the blood that was shed. We have peace with God through our Lord and Savior Jesus Christ and the Power of the Holy Spirit in us. We are not God but we become joint heirs with His Son Jesus through our pursuit towards a closer walk with Him on a daily basis. I thank you for your comment. Eph 1:18 I pray that God will open your minds to see his truth. Then you will know the hope that he has chosen us to have. You will know that the blessings God has promised his holy people are rich and glorious. Eph 1:20 he used to raise Christ from death and put him at his right side in the heavenly places. Eph 1:21 He put Christ over all rulers, authorities, powers, and kings. He gave him authority over everything that has power in this world or in the next world. Eph 1:22 God put everything under Christ’s power and made him head over everything for the church. You seem to forget that the Elohim Divine Creator is the Most High and as such He would speak in the Royal We. The use of the pluralis majestatis denotes not that it are more than one person. The king, queen, president or any high functionary and patriarch shall speak in this form also today, though nobody will take them to be other persons as well. John the evangelist does no where in his books write Jesus to be The God. He agrees Jesus is an important person and as such a god, like Pharaoh, Moses, Apollo, Zeus and even certain elements like chaos and Wisdom are considered gods but not to be The God. The NT Greek word for “God” and “god” is theos. In the writings of the Gospel writers (including John) when an unmodified theos (the form used for subjects and predicate nouns) is accompanied by the article, “the” (? [pronounced ho] in Greek), and has no added phrases (e.g., “the god of this world”), then it always refers to the only true God. In his first chapter the evangelist refers back to the creation of the universe where it was G Speaking, giving a Word which made into being. God also made a promise in the garden of Eden. He gave His word, and that Word was about a solution against the Fall. In the Garden of Eden God’s Word was about the Nazarene Jews who was to be born much later in history. By the birth of Jesus the Word of God, The Elohim His Speaking, The Adonai His promise became reality. Jesus was the fulfilment of that promise. In Jesus John sees the new Adam and the beginning of the New World, and that is why he starts in the same manner as the Bereshith. Thank you for your follow up reply. I appreciate your commentary regarding Elohim. You have cited another explanation offered for the usage of the plural term Elohim as a plural majesty used in the manner of royal persons where I subscribe to it being a plural account of the Trinity, a subject matter that is, in Genesis 1, introduced and maintained throughout Scripture. The Holiness of its writings is maintained by the truth that each word is “God-breathed” to achieve the task of exposing God’s Determined Will down through the ages. It is the Spirit of God i.e. the Holy Spirit, the 3rd Person of the Trinity, who in Genesis 1:2 “moved upon the face of the waters,” who enlightens us to the depths and breadths of the knowledge being offered to us through His Word. 9 but just as it is written, “THINGS WHICH EYE HAS NOT SEEN AND EAR HAS NOT HEARD, AND which HAVE NOT ENTERED THE HEART OF MAN, ALL THAT GOD HAS PREPARED FOR THOSE WHO LOVE HIM.” 10 For to us God revealed them through the Spirit; for the Spirit searches all things, even the depths of God. 11 For who among men knows the thoughts of a man except the spirit of the man which is in him? Even so the thoughts of God no one knows except the Spirit of God. *12 Now we have received, not the spirit of the world, but the Spirit who is from God, so that we may know the things freely given to us by God, 13 which things we also speak, not in words taught by human wisdom, but in those taught by the Spirit, combining spiritual thoughts with spiritual words. *14 But a natural man does not accept the things of the Spirit of God, for they are foolishness to him; and he cannot understand them, because they are spiritually appraised. 15 But he who is spiritual appraises all things, yet he himself is appraised by no one. 16 For WHO HAS KNOWN THE MIND OF THE LORD, THAT HE WILL INSTRUCT HIM? But we have the mind of Christ. We do not support a polytheistic approach to understanding God, Jesus and the Holy Spirit. We believe that the plural of El, or Elohim, used in Genesis 1 expresses the fullness and manifoldness of the Divine Nature of God in that The Father’s Determined Will, Is Spoken by the Son (Elohim-pre incarnate and Jesus-incarnate) and Manifested by the Spirit i.e. the Holy Spirit as the 3 work simultaneously ALWAYS. Finally, the reference to Genesis 3:15 most definitely is the initial observation of God’s Determined will to redeem mankind back to Him. The introduction of Sin into mankind, by way of the plan of Satan to thwart the plan of God, was of no surprise to God. The delivery of His plan to redeem mankind back into relationship with Him was forecasted to be by way of the “seed” of the woman. The onset of the expectation of the one who would be born of a woman is further confirmed in Genesis 4:1 WHERE EVE THOUGHT THAT THE PROMISED REDEEMER WAS CAIN. Furthermore, Satan did all that he could to infuse his darkness, his obstinate objectives to be like the Most High and all of his efforts to confuse men concerning God’s Word to thwart the birth of the Redeemer. Human leaders – Pharaoh et al who were inspired by the Enemy – attempted to kill the firstborn males. All the while, Elohim – The LORD – throughout the OT demonstrated Sovereign rule over mankind in the preservation of His people – the Jews. Every place in the OT where He interacts with man exposes His omniscience, omnipresence and omnipotence in and over the world order. By faith we believe God is 3 in 1. There are no if’s, and’s or but’s about it. You have given valid proof of the Scriptures we referenced in 1 Corinthians 2 in the above reply. You can NOT attempt to “understand” God’s Word absent of the work of the Holy Spirit in you. Your human attempts to understand God will always reveal unknowns that you will purposefully avoid in order to demonstrate your understanding without error. The Enemy,Satan – The God of this world, is still in the business of using the same tactics he used on Eve to get man to question and ignore what God’s Word says. He uses the lust of the flesh, the lust of the eye and the pride of life to confuse man. I John 2:15 Love not the world, neither the things that are in the world. If any man love the world, the love of the Father is not in him. 2:16 For all that is in the world, the lust of the flesh, and the lust of the eyes, and the pride of life, is not of the Father, but is of the world. That confusion in the mind can only be cleared out by God the Holy Spirit. The activity of the Holy Spirit in your life is only possible when, by faith, you accept the finished work of Jesus Christ and be redeemed back into right relationship with God. 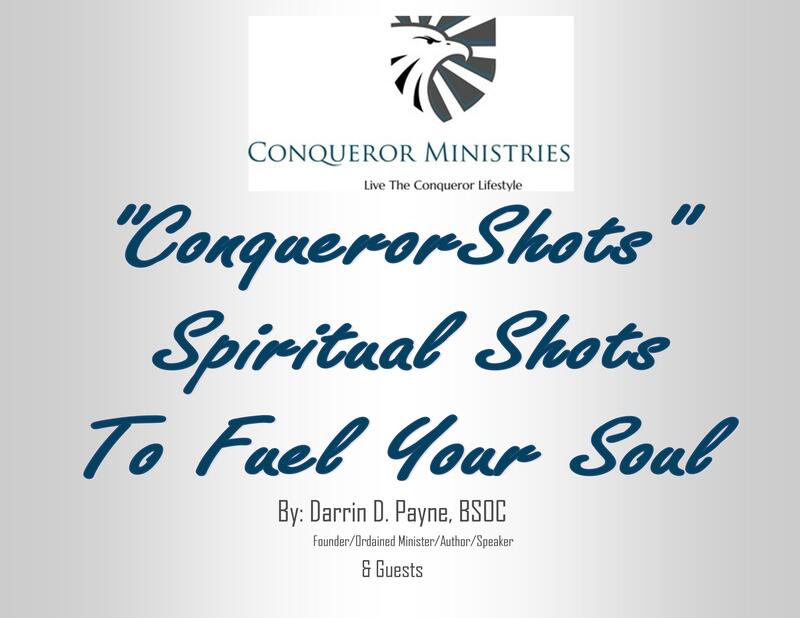 My book “Qualities of a Conqueror Volume 1” http://conquerorministries.org/conqueror-books.html exposes the fundamental truth associated with the spiritual changes I’ve mentioned. You “Stay in the race” by your own personal experience with Galatians 2:20. Every day you are crucified with Christ, you die to your flesh as your spirit is being renewed through the Spirit of Christ which raised Him from the grave. The Holy Spirit will raise you out of the cloudy confusion in your mind and make all things concerning His Word new with an enlightenment that will astound you. This Gospel of the grace of God was not a prophesied event of the OT. So many people are unable to grasp this understanding because they attempt to understand God by way of His dealings with the Hebrews throughout the OT and the gospels. 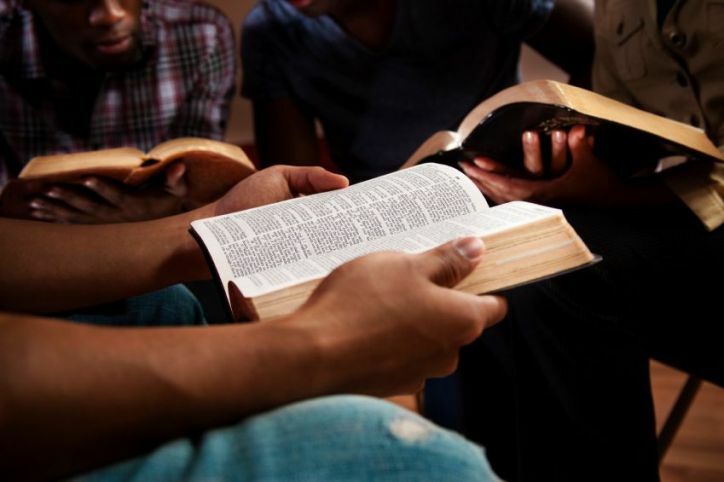 Paul’s Gospel of the Grace of God was given specifically to the Gentiles but also is available to the Jews if they are willing to put their faith in the risen Savior Jesus Christ, whom they crucified. That is an absolute truth based on the Pauline Epistles. You will find the fullness of your Salvation from the perils of Sin and natural death, your assurance in the gift of Eternal life and your ability to, in the remaining days of your life, be “more than a conqueror through Him, Jesus Christ, who loves you. You can not do anything in your flesh to please God. Faith is the source of your renewed relationship with the Father, through your Lord and Savior Jesus Christ and the Holy Spirit who resides in you. By faith, you can and will be renewed in the spirit of your mind and the truth of the Word of God will sanctify you and fulfill you from your inner spirit, into the soul – the seat of emotions and intellect- and your body making you a new creation IN Christ. I pray the you experience this Spiritual transformation wherein your mind will be enlightened by these truths. One day you will meet Jesus Christ and you will bow before Him and acknowledge Him as LORD to the glory of God the Father, one way or another.